Tucker S. Ferda examines the theory of the Galilean crisis: the notion that the historical Jesus himself had grappled with the failure of his mission to Israel. 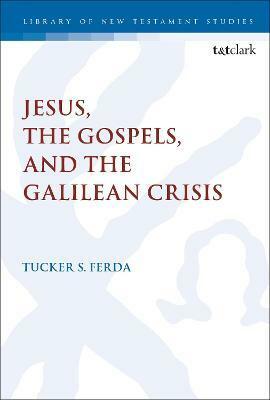 While this theory has been neglected since the 19th century, due to research moving to consider the response of the early church to the rejection of the gospel, Ferda now provides fresh insight on Jesus' own potential crisis of faith. Ferda begins by reconstructing the origin of the crisis theory, expanding upon histories of New Testament research and considering the contributions made before Hermann Samuel Reimarus. He shows how the crisis theory was shaped by earlier and so-called "pre-critical" gospel interpretation and examines how, despite the claims of modern scholarship, the logic of the crisis theory is still a part of current debate. Finally, Ferda argues that while the crisis theory is a failed hypothesis, its suggestions on early success and growing opposition in the ministry, as well as its claim that Jesus met and responded to disappointing cases of rejection, should be revisited. This book resurrects key historical aspects of the crisis theory for contemporary scholarship. Tucker S. Ferda is Visiting Assistant Professor of New Testament at Pittsburgh Theological Seminary, USA. He was named a Regional Scholar of the SBL in 2015.